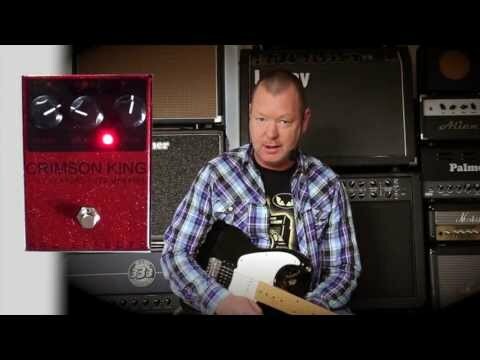 The ARC Effects Crimson King is a modern take on the highly sought after and incredibly rare "Buzz" fuzz pedal. At it's core is 3 tested, audited, and matched germanium transistors as well as top quality axial components which allow this pedal to achieve an incredible range of vintage and modern fuzz sounds with impeccable clarity and ample volume. The range spans from "Bender" type sounds to higher gain territory with a LOT less background noise and a much higher degree of dynamic response. The Crimson King takes over where the original left off with the addition of a voltage converter that allows this pedal to be used with all standard negative ground 9v power supplies. No need for a battery or any special power supplies and this CAN be daisy chained with other standard pedals without any issues.